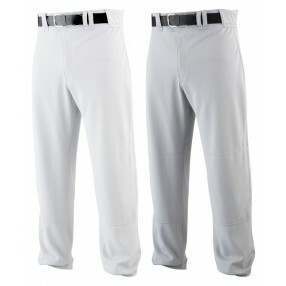 Rawlings Baseball Pants with a flare bottom, a baggy style like Manny Ramirez uses. The Rawlings PP350MR is made of 350 cloth which is a heavy weight pant. This is a very durable pant that will last through you baseball season.